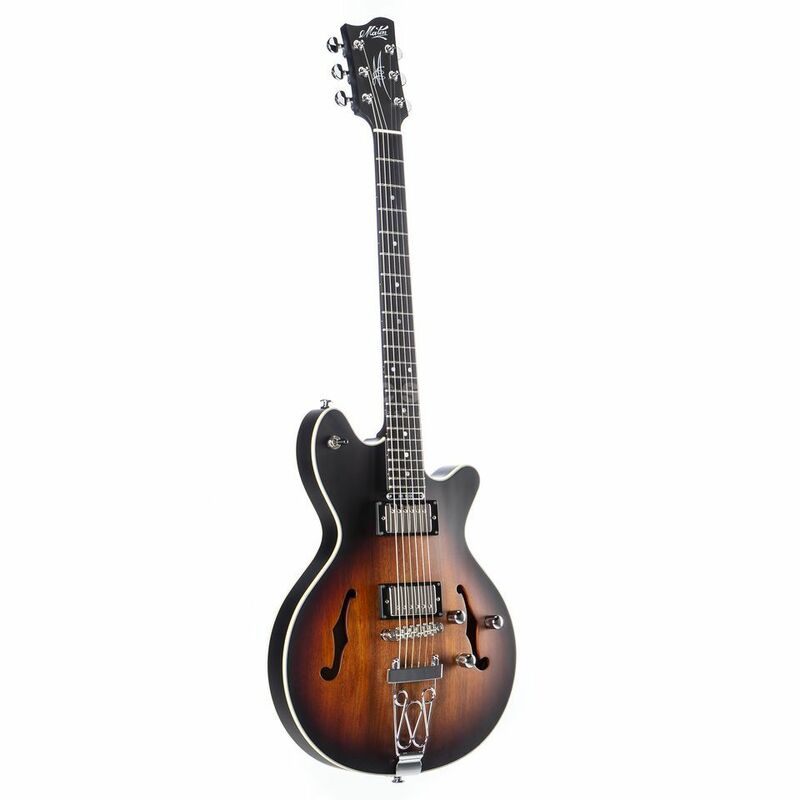 The Maton BB1200JH Josh Homme is a particularly flexible and stylish semi-hollow electric guitar. Built to the specifications of the stoner rock icon, the instrument is made up of a semi-resonant body and archtop made of Victorian Blackwood that creates voluminous sounds. 2x in-house Maton Bad Boy humbuckers with Alnico-8 magnets provide the appropriate amount of grit for the amp, while the switchable split coil mode also makes airy single coil sounds possible. Matons BB1200JH Josh Homme Signature Semi-Hollow im satinierten Tobacco Sunburst Finish. For the construction of the body of the BB1200JH, high-quality domestic woods are chosen. An arched top and back made of Victorian Blackwood provide maximum sustain and around and warm tone, whilst the body construction and centre block are generated from Queensland Maple and promote tight sounds and tame unwanted feedback. The Maton Bad Boy Humbuckers in both neck and bridge positions are true powerhouses, with an expressive character. Vocal leads and rich crunch sounds are the qualities of the 2x Alnico-8 magnet double spoolers. Both pickups can be switched to single coil mode via the coil tap function of the push/pull volume potentiometers, for a clearer resolution and classic tone.